Khalil Bryant holds a clipboard as he encourages students to pledge to vote on Election Day. Elected officials headed to Capitol Hill and statehouses can learn plenty from the students I recently was privileged to speak with on four college campuses. So can candidates already considering 2020. Many of our democratic norms seem to be in question, if not under assault, but there’s good news about young people and democracy. They are interested in practicing civility in politics, protecting equal rights, ensuring the campaign finance system works for individuals, expanding civic education and making voting easier. And, yes, engaging with other students, even recruiting some to run for office. The conversations at the University of Pennsylvania, Florida International, Arizona State and Southern Methodist University grew out of The Democracy Project, a public research study by Freedom House, the George W. Bush Institute and the Penn Biden Center. The survey explores Americans’ views on our democracy’s health. The verdict was mixed. While large majorities strongly believed in our democracy, many also felt it was weak and getting weaker. Money’s role in politics and persistent racism and discrimination were identified as the largest challenges. We found a significant gap also exists between Americans under 30 and the general population. 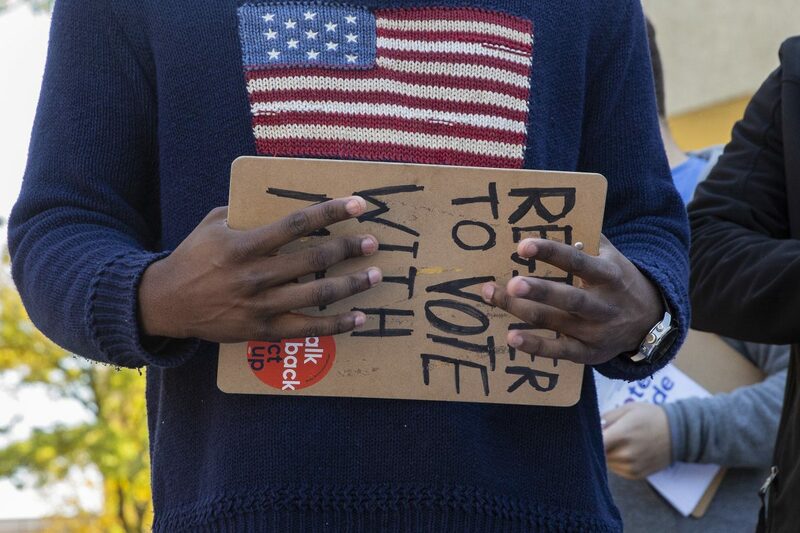 Young people were more skeptical that democracy was delivering for them. That’s why we wanted to probe more deeply and speak with students before November’s elections. Although these students may not represent all young Americans, they were diverse — ethnically, geographically and politically. They were passionate, informed, thoughtful, civil and respectful. And they were looking forward to Election Day, some as first-time voters. This was not the angry caricature of political correctness we often see in the media. These students were eager to play a part in our democracy. Indeed, exit polls showed young people voted in the midterms at their highest rate in at least 25 years. Elected officials and aspiring candidates especially should heed this reality. Young people put a higher value on protecting minority and individual rights than on majority rule. Many expressed skepticism that politicians would entertain their views, absent a campaign contribution. No easy campaign finance answers exist, but isn’t it time to think about how the system is working? We should be looking at how to make voting easier, not harder. States like Texas and Georgia have attempted to make voter registration more difficult. One idea is to allow school identification cards to prove a voter’s identity. And have early voting polling places on campus, like SMU and Florida International did. Unfortunately, it took a lawsuit to make that happen at Prairie View A&M. Millennials and Generation Z often get a bad rap for being self-absorbed and uninterested in public life. These campus dialogues and increased election turnout indicate that they want to be engaged. The challenge is meeting them on their own terms: addressing their concerns, speaking with them (and not at them), taking their opinions seriously and communicating in ways they respond to. This ought to be common sense, but many legislators have limited or eliminated town meetings, let alone appearances on college campuses. Parties should step up their efforts to recruit younger candidates and train them to communicate effectively with voters. Much work remains to be done, but fortunately we can start from a receptive base. Lindsay Lloyd is deputy director of the George W. Bush Institute’s Human Freedom Initiative. Her column was published in the Dallas Morning News.